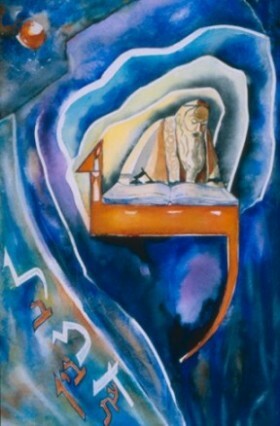 The name of the letter ‘Lamed’, is related to ’lamad’, which refers to teaching and to learning. The fact that the tallest letter of the alephbet is the one that implies learning and teaching shows us that this quality is man’s greatest gift. The name ‘Lamed’ , for learning, is an acronym of ‘a heart understands wisdom‘. The goal of learning Torah is to absorb its teachings into one’s heart (lev).